Mötley Crüe invaded the Molson Amphitheatre last night and proceeded to touch all areas of their checkered past. Along for the ride were Poison and The New York Dolls. Without warning, the curtain dropped on the stage and guitarist Mick Mars went right into Wild Side. This was all before the house lights were turned off, giving it a very unexpected kickoff, which gave the show a rather unique taste. The Crüe played all the usual suspects such as; Same Ol’ Situation, Primal Scream and Shout At The Devil. Probably the only negative of the evening was Don’t Go Away Mad (Just Go Away). It sounded like the performance was mailed in, as if the band were just going through the motions to play it. Throughout the show at various points, two scantily clad females accompanied the band on background vocals, reminiscent of tours past. Nikki then proceeded to invite the crowd along for the next twenty years. 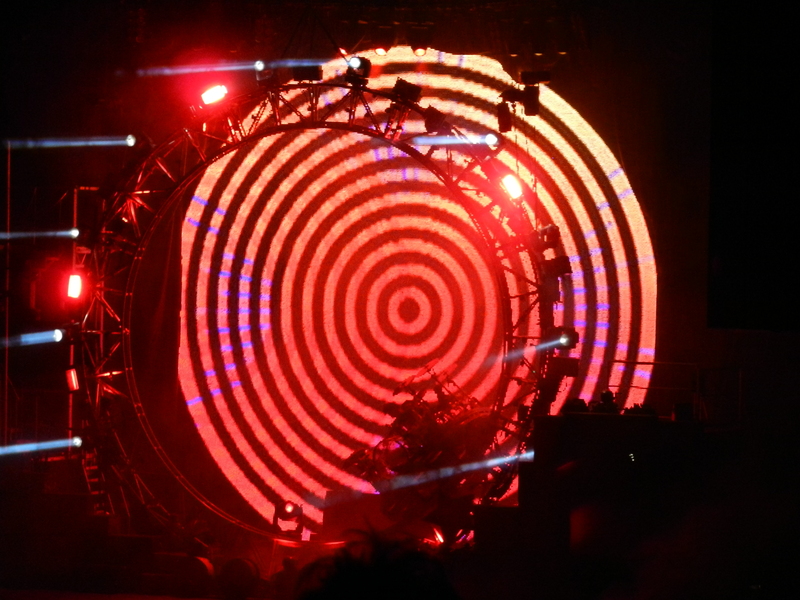 Prior to Home Sweet Home, drummer Tommy Lee got everyone together at the piano and announced the Crüe intend to stay together “Until the wheels come off”. Lee also had one of the highlights of the show as his 360 drum roller-coaster kit was on a track that made his drum kit go in a circle during his solo. He also took along one lucky person for a few laps at the end of his solo. Too Young To Fall In Love, a song skipped over for the past few tours started the final leg of the show. For the special song of the night the band dug out Ten Seconds To Love, a seldom-played nugget off the Shout At The Devil album. Rounding out the show a spirited performance of the standard Girls Girls Girls followed by the old Brownsville Station classic Smokin’ In The Boys Room, a song that had disappeared from the set over the years. For the encore the revved up Kickstart My Heart brought the show to a close. Poison took to the stage with their customary opener Look What The Cat Dragged In and played a sixty minute set that featured the same songs they always play tour in and tour out. Considering they are out for their 25th anniversary, one would think they might decide to dig into the ol’ bag of tricks. But the only subtle change was I Want Action was added in place of their Grand Funk Railroad cover of We’re An American Band. Poison could have easily played a few lost classics, but chose not to. While their performance was good, the band really needs to make a new album, something they haven’t done since 2002’s Hollyweird.